Entertaining family and friends during the summer months does not get any easier than bringing everyone out to the ballpark as you watch the future superstars of the 11-Time World Champion St. Louis Cardinals! A full Season Ticket Plan with the Cardinals is a great way to spend quality time with family, all while mingling with friends and cheering on your hometown team. FOR SEASON TICKET PLAN PRICING CLICK HERE! Want all the benefits of being a Season Ticket Holder without the same level of commitment? Our 18-Game Quarter Season Plans are split into Pitcher, Catcher, Infielder and Outfielder Plans and come with all the same great rewards! For more information on the 2018 Quarter Season Plans, email springfield@cardinals.com or call (417) 863-2143. Save over individual game prices! Access to the Promo Club! TO MANAGE YOUR SEASON TICKET ACCOUNT CLICK HERE! Can't make all 70 games? We have just the thing! The Springfield Cardinals Half Season Plans are 35-game packages available to fit your schedule! The Half Season Plan comes with the same great Season Ticket benefits as the Full Season Plan and comes in two options: The Red Plan or The Blue Plan. For more information on the 2018 Half Season Plans, email springfield@cardinals.com or call (417) 863-2143. In addition to personal use, Season Tickets are a great way to build relationships with clients or use as rewards for the office. As an employee, nothing tops getting great seats to the premier sporting venue in Springfield at Hammons Field. Cardinals games provide a casual and social environment ideal for building relationships and shared experiences. Season Tickets ensure you a Season Seat for 70 games with great rewards and privileges, including exclusive access to the Promo Club, the exclusive ability to exchange unused tickets, vouchers to see the St. Louis Cardinals at Busch Stadium and much, much more. For more information on 2018 Full Season Seat Information, email springfield@cardinals.com or call (417) 863-2143. From All-Inclusive Seating Options in the SpringNet Champions Club, Expedia Redbird Roost and Big Mac Land to the Diamond, Dugout and Field Boxes and even General Admission, there's a Season Ticket Plan that suits your viewing preferences and budget. 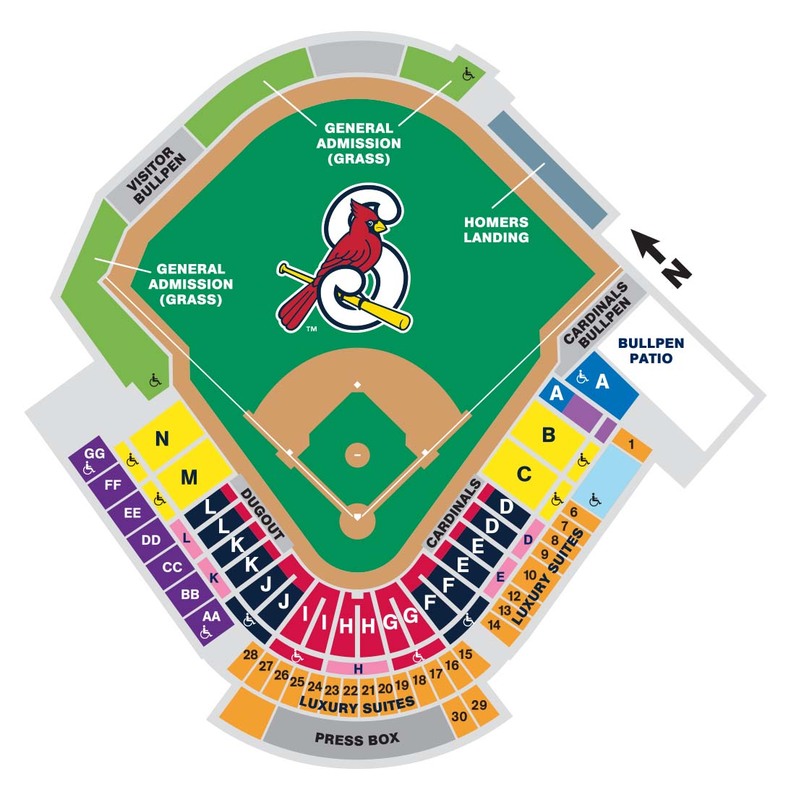 For more information on our Seating Options, email springfield@cardinals.com or call (417) 863-2143. The Cardinals are now taking 2018 deposits! We have plenty of Season Ticket options to choose from including 18-game, 35-game and 70-game plans! All Season Ticket options come with unbeatable benefits and the option to pay in installments. For more information on 2018 Season Seat Information, please email springfield@cardinals.com or call (417) 863-0395. The Cardinals are now taking deposits to become a 2018 Season Ticket Holder! We have plenty of Season Ticket options to choose from including 70-game, 36-game and 18-game packs. Season Ticket Plans provide the greatest benefits when attending Cardinals games including flexible payment plans to fit your budget. For more information on 2018 Season Seat Information, email springfield@cardinals.com or call (417) 863-2143. The Springfield Cardinals focus on making our customer service and the fan gameday experience second to none. With that in mind, the Cardinals provide easy ways to access your game tickets. Access your tickets through your Springfield Cardinals Account Manager through a computer or smart phone. Convenient online ticket management to print, forward, and exchange your tickets. Control and distribution when sharing your tickets with others. Reduced risk of lost, stolen or forgotten tickets. Quick and easy mobile entry into Hammons Field using a smart phone. Manage your tickets even earlier than ever. Have questions? Call us! An Account Executive can help you with all of your 2018 Season Seat needs! 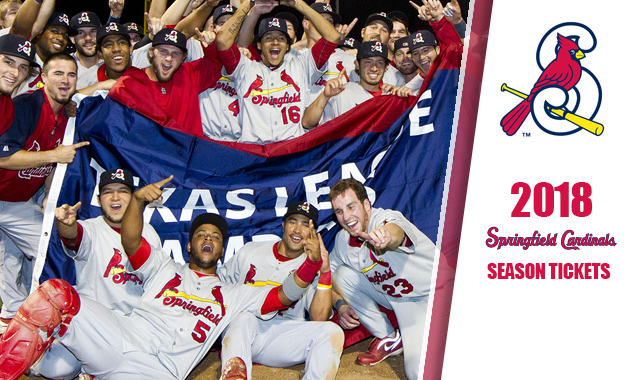 Call (417) 863-2143 or email springfield@cardinals.com.